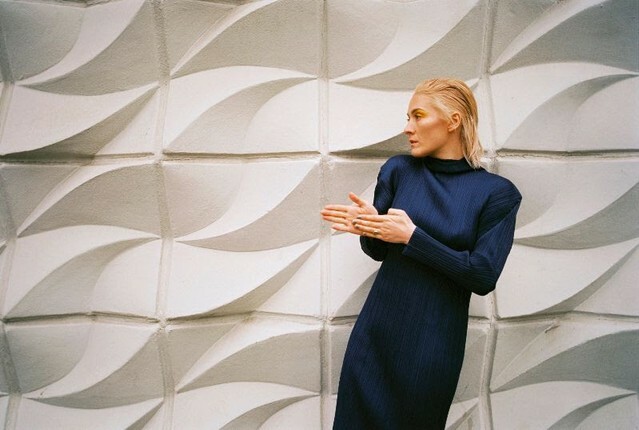 Cate Le Bon has released the second single from her upcoming album Reward, “Home to You.” The Welsh singer-songwriters’s tuneful, nostalgic song comes complete with a video filmed in Eastern Slovakia—Košice’s Lunik IX neighborhood, which features a large Roma community. The moving documentary-style clip, directed by a Phil Collins who is not the primary Phil Collins most people are aware of, offers a sympathetic portrait of the disenfranchised community, in which many residents to not have sufficient access to housing, electricity, and other services. Le Bon released the excellent first single from Reward, “Daylight Matters,” in March. The album is due out on May 24 via Mexican Summer. Preorder it here, and watch the video for “Home to You” below.